c. 2012. 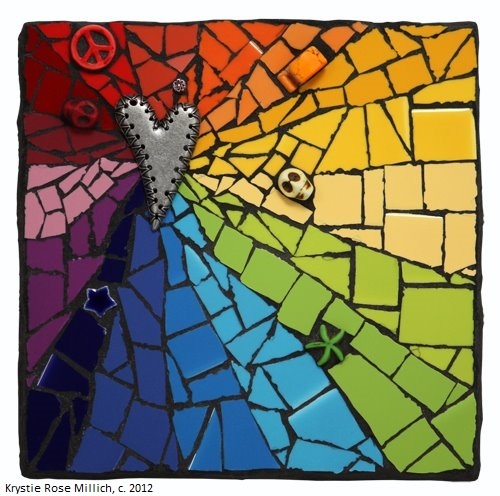 6x6x1.5″, “Radiant Heart”, Benefit piece for 2012 Doctors Without Borders Online Mosaic Art Auction. Glazed ceramic tiles and glass, Howlite, and metal beads on wooden base.